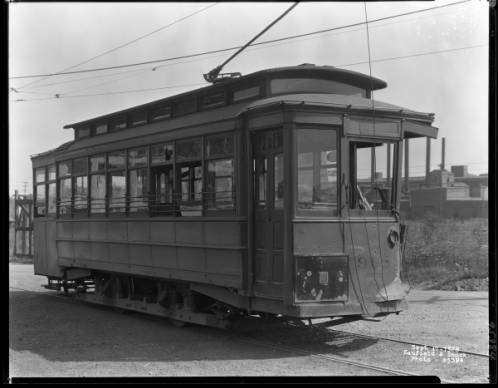 Portland and Shelby Street streetcar, Louisville, Kentucky, 1928. Portland Avenue facing west, Louisville, Kentucky, 1938. Portland Avenue, Louisville, Kentucky, 1927. In the 1800's the French settled on Shippingport Island, but they had a church in Portland before it was considered a town, Our Lady Church (Notre Dame du Port), which still stands. Eventually, General William Lytle purchased about 3,000 acres of land and it was established as the town of Portland in 1811. He contracted Joshua Barclay to lay out the town. It was located on the banks of the Ohio River. People traveling on the boats from the western and southern United States had to stop and go around the Falls of The Ohio to continue east, and the same process had to occur when travelers from the east wanted to go west or south. All products moved on the river had to go around the Falls. So, Portland became a port for people to stop and board overland transportation to arrive at the Louisville Wharf or to arrive in Portland from Louisville to board water transportation. Portland became a very populated town. Businesses were established in order to meet the needs of the rest of the United States. There were many wealthy families and boat Captains or Pilots that settled here, and you can see this part of history reflected in the architecture that still stands in Portland. Eventually, Irish and German people also settled here, providing the skills and labor necessary to make sure everything ran smoothly, and many of their homes are also still standing. Some river boat pilots could navigate the Falls during high water, but they ran the risk of losing their cargo and people. The river drops around 24-26 feet at the Falls. So, the safest plan was to transport cargo and people around the Falls. 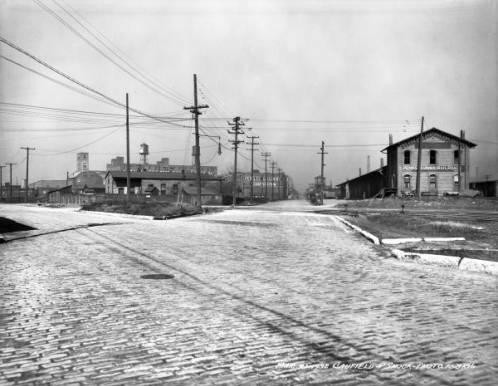 Eventually, Portland was annexed by Louisville, and it un-annexed itself when a railroad did not come through as promised, but soon that ended too, and the neighborhood became a permanent part of Louisville. Tom Owen, Louisville Historian, made a film called "Portland: The Independent Neighborhood," that fits us pretty well. Portland remains proud of our independence, knowing all the while that our independence can only take us so far. Interested in learning more about Portland History?